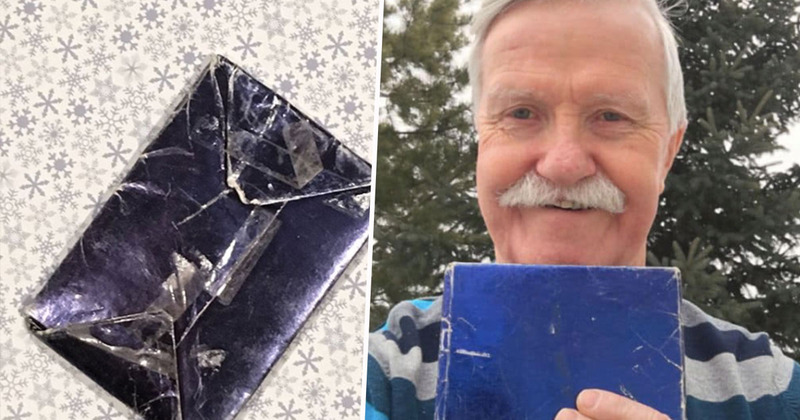 Nearly 50 years after he received it, a man has finally opened the present an ex-girlfriend gave him for Christmas before breaking up with him. In 1970, Adrian Pearce received the present from his high school girlfriend Vicki Allen shortly before Christmas. However, when she handed him the present, she broke up with him, as Vicki had just met someone else and decided to pursue that relationship instead. Harsh. Adrian walked home with the present, but refused to open it. And so I fired the present under the Christmas tree. After my family opened their gifts at Christmas, there was still one Christmas gift left and it’s the gift this girl Vicki had given me. I told my family I’m never going to open that present. Adrian stuck to his promise. He continued to put the present under the Christmas tree every year but refused to open it. Even after he got married and had children, and his kids asked him if they could open the present, Adrian stuck to his promise. I kept it initially because I guess I had hopes that we would get back together and open it together. Now it’s just become a habit after 47 years of looking at it and having the pleasure of not opening it. Maybe I don’t want to know what’s inside it. It’s more exciting right now not opening the thing. One year, however, Adrian’s wife put her foot down and said she didn’t want it under the tree anymore. 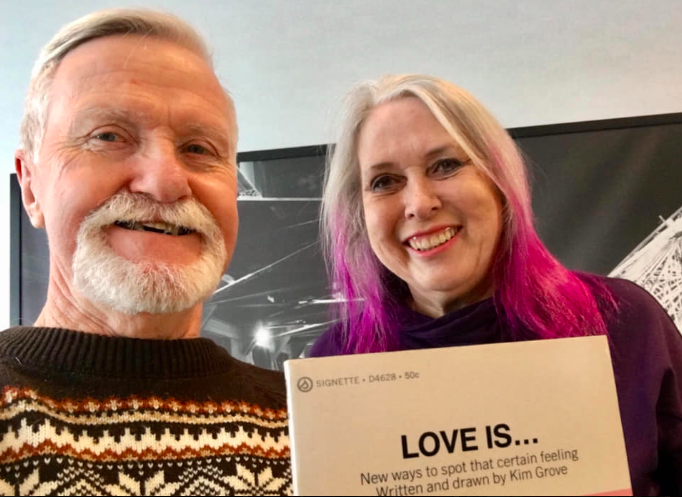 Eventually making contact with Vicki after his story was posted to Facebook last year, Adrian, his wife Janet, and Vicki got together in cafe – along with a large crowd eager to see what the present was – to unwrap the old package. Ironically, it was a small book called ‘Love Is: New Ways To Spot That Certain Feeling’, containing cartoon, poems and sayings about love, as Global News reports. The unwrapping of the present was carried out as part of a fundraiser for the Christmas Bureau of Edmonton, a charity that provides Christmas meals for families in need. Adrian seems to have forgiven Vicki after all these years, saying ‘I think it’s absolutely fantastic that we’re friends. We’re in a fantastic place, where all you can feel is love’. They say time heals all wounds. It seems half a century can work wonders for heartbreak.